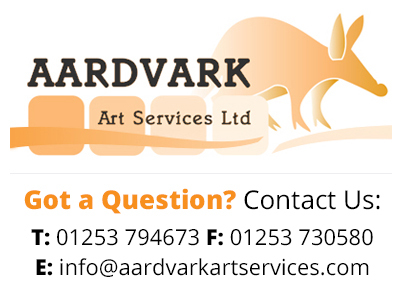 Aardvark Art Services provide safe, secure and efficient transport of Fine Art and Antiques. We can provide packaging upon request, but this is soft wrap and incurs a supplementary charge. We therefore recommend doing your best to prepare your artwork as much as possible prior to handing it over to out couriers for door to door service. Locate several large, heavy-duty picture boxes that are big enough to hold your artwork, framed prints and mirrors. If you saved the original boxes that the items arrived in, we recommend using these. You can also purchase telescope boxes, which are used to pack mirrors, art and other flat-lying, rectangular objects. The boxes usually come as a two-part set and are joined together to form one long box. 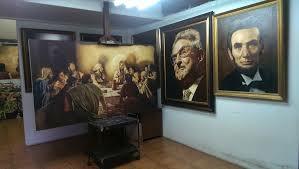 They should be able to better accommodate large pieces of art. If the artwork is particularly large, we suggest finding an appropriate size crate to hold the item. Next we strongly recommend wrapping your art and mirrors in Glassine, instead of the typical plastic wrap. Glassine is a smooth paper that is known for being air, water and grease resistant. This should properly protect anything from blemishing the fine art, print or glass. Glassine isn’t hard to find and can typically be purchased by the roll. Layer your artwork and mirrors several times in bubble wrap and secure with packing tape. We recommend wrapping the bubble wrap around the item at least twice to provide enough protective cushioning. It is important to protect corners as much as possible, surround these parts with corner protectors, such as styrofoam corner protectors or cardboard corner protectors. One you are happy with the packaging you can hand them over to our professional couriers and we will safely transport your artwork to its locations. Click Here to view the Road Haulage Association Conditions of Carriage which Aardvark Art Services Ltd operate under. Our membership number is 22147.